Morrisons is selling giant bottles of branded gin as part of its Black Friday sale and you’ll want to stock up for Christmas and New Year. When you can pick up cheap booze that actually tastes nice and doesn’t break the bank, it’s a win for everyone right? Deals are a lifesaver around Christmas and New Year when people are hosting lots of festivities for family and friends but finding ones where you actually make a good saving can be tricky. Everyone loves something supersized because it makes the ultimate centrepiece and judging by the response to Aldi’s massive six-litre bottle of Prosecco on social media, we’d say people are thirsty for budget booze! So when Morrisons revealed it was selling a magnum of Prosecco for £10, that’s 84p a glass, we got excited. Morrisons are selling giant bottles of branded gin as part of its Black Friday deal and they are offering a fantastic discount. 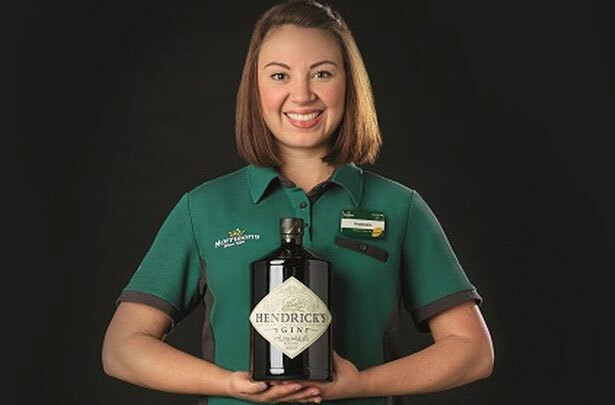 As part of the deal you can pick up a 1.75L bottle of Hendrick’s gin for £60. A standard 70cl bottle of gin normally retails at £28 and 35cl bottles cost £19. So if you bought these bottles separately for the same volume of gin, it would cost you an additional £15. Plus, the big bottles just look cooler! As well as Hendrick’s gin, Morrisons also have an offer on giant bottles of Boodles gin which cost £40. But if you’re not a gin drinker there’s another giant bottle of booze that might tempt you – Disaronno. Big 1.75L bottles of the amaretto-tasting liqueur will cost £30 so you’ll save over £15 as 70cl bottles of Disaronno retail at £18.50.